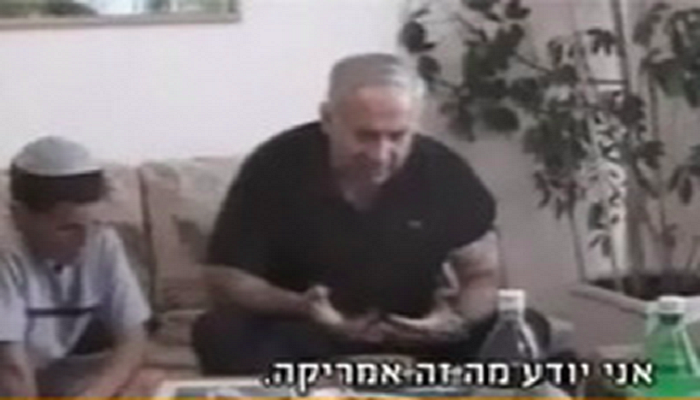 Screenshot of 2001 video of Netanyahu bragging about sabotaging the Oslo Accords. Throughout his political career, Netanyahu has opposed the establishment of an independent Palestinian state, pronouncements to the contrary made for international consumption following his return to power in 2009 notwithstanding. 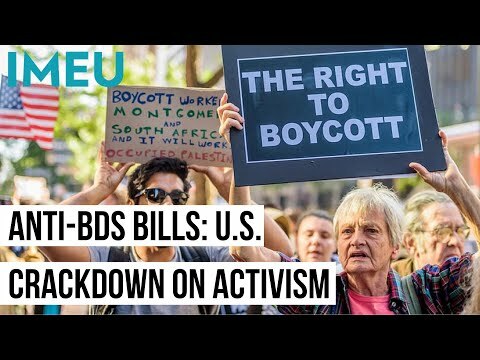 He is also a longtime supporter of Israel’s illegal settlement enterprise, which is a major obstacle to the creation of a Palestinian state in the occupied territories. The Prime Minister announced that the Bar-Ilan [University] speech is null and void… Netanyahu's entire political biography is a fight against the creation of a Palestinian state. After initially backtracking following media attention, the campaign issued a second statement declaring: “there will be no concessions or withdrawals [from the occupied territories]; they are simply irrelevant." In December 2014, the Associated Press reported that official Israeli statistics revealed the number of Israeli settlers in the occupied West Bank grew 23% between 2009, when Netanyahu returned to power for his second term, and 2013, more than double the rate of population growth within Israel’s internationally-recognized pre-1967 borders, which stood at 9.6%. In June 2009, under international pressure to accept the two-state solution, Netanyahu announced for the first time support for the creation of a Palestinian state. He added numerous caveats, however, rendering the proposed state shorn of any real sovereignty or independence. As current Deputy Foreign Minister Tzipi Hotovely from Netanyahu’s Likud party explained in 2012, Netanyahu’s declaration was merely a "tactical speech for the rest of the world,” adding, “We are opposed to a Palestinian state." Since returning to power in 2009, Netanyahu has continued to expand settlements on occupied Palestinian land and has led Israel further and further to the right, with each of his three consecutive coalition governments more extreme than the last. His current government includes hardline settlers and messianic religious fundamentalists in senior ministerial posts, individuals who were considered extremists on the margins of Israeli politics a decade ago. In 2005, then-Finance Minister Netanyahu resigned from Prime Minister Ariel Sharon’s government in protest of Sharon’s plan to withdraw approximately 8,000 settlers from Gaza (which remains under Israeli occupation) and four small settlements in the West Bank. In 1996, Netanyahu was elected prime minister for the first time following the assassination of Yitzhak Rabin by a right-wing Jewish extremist opposed to Oslo. While in opposition, Netanyahu campaigned against negotiations with the Palestinians, speaking at rallies where right-wing extremists accused Rabin and other supporters of Oslo of being traitors and Nazis. Following Rabin’s assassination, many Israelis, including Rabin’s widow and son, placed partial blame on Netanyahu for his role in fueling virulent incitement against Rabin and Oslo. During his first term in office (1996-99), Netanyahu dragged out the negotiations begun under Oslo by his predecessors while delaying or refusing to implement previously signed agreements, including redeployments of Israeli soldiers, antagonizing Palestinian negotiators as well as President Bill Clinton. Following his first meeting with Netanyahu in 1996, Clinton exclaimed to aides: “Who the f--k does he think he is? Who's the f---ing superpower here?" At the same time, Netanyahu rapidly expanded Jewish settlements on occupied Palestinian land that was supposed to form a Palestinian state, as Rabin did before him. By the time Netanyahu left office in 1999, Israel’s occupation was more deeply entrenched than ever and the Oslo process teetering on collapse.